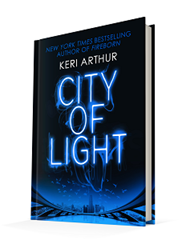 Published January 5, 2016, by Piatkus Books, City of Light is the first in an all-new futuristic fantasy series from New York Times bestselling author Keri Arthur. A delightful read, City of Light, brings to life into the dystopian sector of fiction. It starts off as many others do: the world has suffered through war and the like. However, here’s what’s different: it was not a war between humankind, it was a war between humans and creatures like shifters and vampires. What’s also so impressive is the fact that the vampires, they are not the central villains here. For the most part, they are unthinking hunters, very unlike previous interpretations. Nothing is alluring or sexual about them, they are very animalistic, thoughtless, mindless hunters. So it was nice to see them put on the backburner for other creatures of the dark to flourish and terrorize the characters of the novel. The uniqueness of the story is alluring because it has these mysterious creatures, it has this dark and haunting element to it that lures the reader into the story and the journey. Readers get to meet Tiger, a déchet, genetically created by the humans at the height of the war to be used as fodder. She has survived so much, including the survival of a gas bombing that killed all the children made as she had been. It was a brutal war, lending to the world building of the novel. This world is so different from any other dystopian novels, and again, that is part of what makes the novel so compelling. The synopsis offers a taste of what the reader can expect, but it is so unlike anything else out there that the reader ends up entering this adventure blindly, which is good! The plot keeps the reader on their toes, Tiger’s skills and power, they are unique to her, and again, keep the reader on their toes. What also serves to make Tiger so likable is the fact that the other characters, well, they are not likable. They live by the mentality that the ends justify the means, which is fine, but how they treat Tiger, the way they abuse her trust, bend her arm behind her to get her to help, it is ultimately crappy. 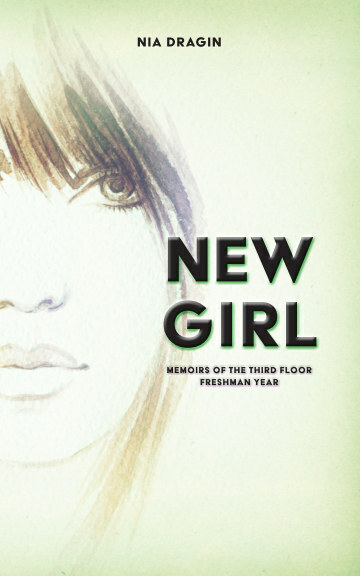 It is easy for the reader to understand where they are coming from, making them very real, and very human, characters, but that does not mean they have to be likable. Moreover, they are. Some of them grow, and Tiger grows, but, for the most part, the other characters are so wrapped up in the grand scheme of things that they forget how to treat people. Tiger does not forget. That works to create incredible tension in the story and an excellent understanding of this world. Tiger is not without her flaws, but, like with the other characters, she is a genuine character on the page with a bright persona.